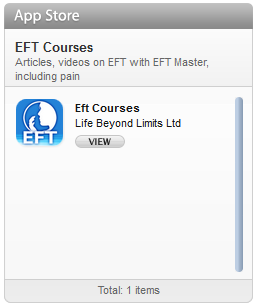 As a trainer in EFT Marketing I meet many gifted people who have trained as EFT therapists. Many have had the dream to set up in business and work helping people, but that dream has not manifested itself. For example, having a need to be perfect or not make mistakes can lead to a person forever training to gain the knowledge so that they will not make a mistake. It can lead to them never taking that first step into business. Or if they do take the first step they may not reach their full potential. 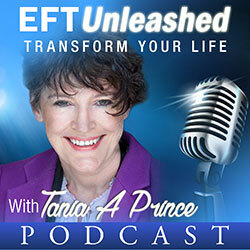 There are several ways you can tackle an issue such as this with EFT. One is to find the events in your life that taught you to be fearful of making mistakes and then tap them through until they seem insignificant and hold no emotion for you. Another way (especially if you cannot remember where the problem came from) is to tap on how you know you have the problem now. If you tap this through in the normal EFT way, notice what happens after each round of tapping. Incorporate into the next round of EFT tapping anything brought up by the first round of tapping. 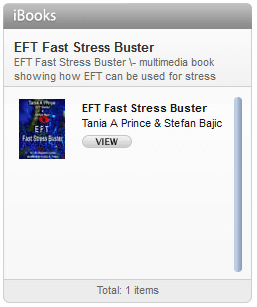 This method of EFT, strips the problem down layer by layer. It can be an incredibly powerful way to work. You might even be surprised at the memories that begin to surface. By the way, what type of events can create a fear of making mistakes? Any in which you perceive there to be consequences to making a mistake, such as critical parents (this can be delivered with love by some parents who are not skilled communicators), humiliating or embarrassing experiences at school related to doing something wrong. This is not a complete list of possible causes. The second reason that people do not get started is simply the lack of knowledge. With the huge mountain of information out there, where do you start? Firstly if that mountain overwhelms you, tap the feeling of being overwhelmed out. In overwhelm we cannot see the trees for the forest (or is that the forest for the trees- ah, you know what I mean!). You need to have a clear mind that can focus on the details. Networking is a great way to start with a business. Of course in order to network face to face you should have business cards. Never re-invent the wheel, go to a network meeting, get some business cards which are handed out freely. Take them back and have a look which one draws your eye and makes you curious enough to look into the business. Model your card on that one, use it as a template. If you do decide to do face to face networking, make sure that you tap out any uncomfortable feelings you have at the thought of doing that, such as: feeling like an outsider; not feeling the same as; feeling they know more than you; thinking of them as authority figures. When you clear these feelings and thoughts you will find it much easier to connect with people and make meaningful relationships. Face to face networking tends to be about making mutually beneficial relationships. They do not tend to be about actively selling. It is more about referring people who may benefit from your services.